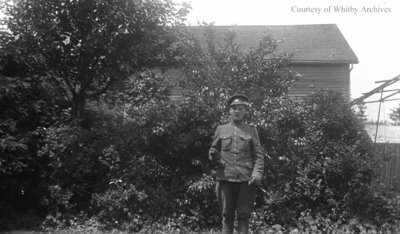 A black and white medium format negative of an unidentified young man standing in his uniform in front of shrubs. This negative has started to degrade. Unidentified Young Man, c.1915, Photographer Unknown. Whitby Archives A2014_001_009.